Overwatch voice chat problems have been popping off pretty much everywhere, and since the last Windows 10 update, a lot of players have been experiencing them. These voice chat issues were in the form of seeing the teammates’ avatars but not being able to hear them, as well as not being heard when trying to speak on the microphone. 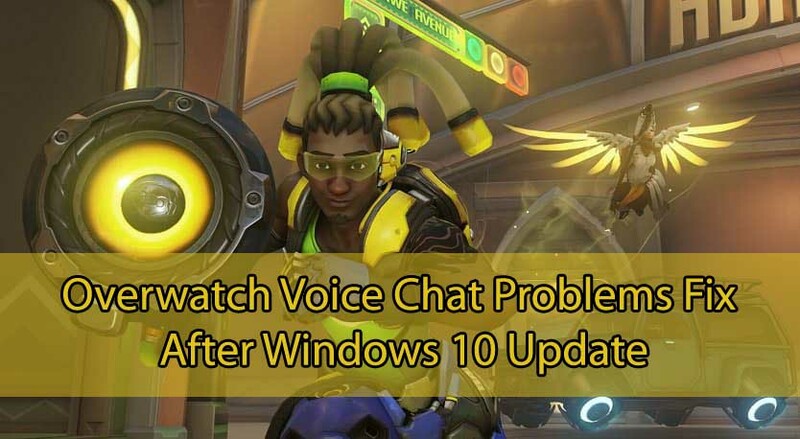 Naturally, everyone affected assumed it’s a driver issue or an in-game option, some even purchased new headsets, however, you’d be surprised what the actual Overwatch voice chat problem culprit was – the Windows 10 update. So, whether you were doing your placements or were just farming SR, close your game and let’s see how to fix your Overwatch voice chat issue after the Windows 10 update! Restart Overwatch and confirm you’re no longer experiencing voice chat issues. While here, although these won’t have any effect on your Overwatch voice chat problems, feel free to disable any of the other apps which can access your microphone by default. Also, make sure that once you’ve enabled access to your microphone, to revert any other settings you might have done while trying to figure out the Overwatch voice chat issue. These can be in the form of disabling or installing different drivers, enabling various sound options as well as changes to the in-game sound options. I hope this helps you clear any Overwatch voice problems you might’ve had, and that you’ll now be able to speak to and hear other players in-game! P.S. : Don’t blame yourself if you didn’t find this, as it is in fact a pretty random setting to casually get messed up after the Windows 10.